You'll be the hit of the firehouse with our Fireman-He Knows how to Handle his Hose! t-shirts and sweatshirts. Everyone will want one! Add a Fireman-He Knows how to Handle his Hose! coffee mug for some good laughs. 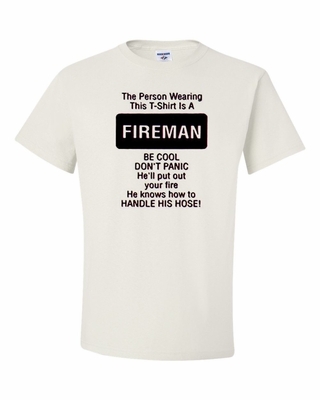 Remember� you found the Fireman He Knows how to Handle his Hose! Shirts at TShirtHub.com, where high quality came at a low price.